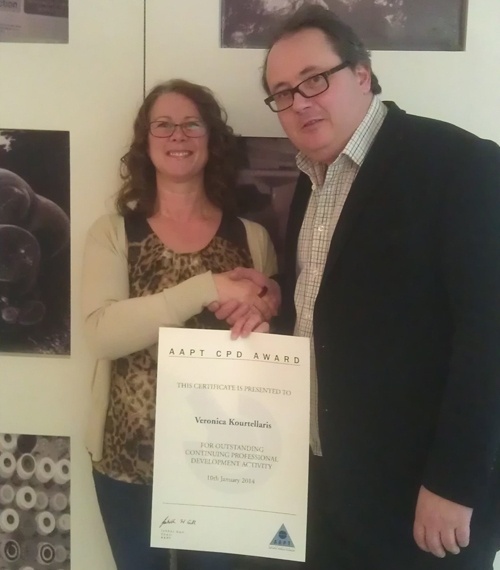 The AAPT were delighted to invite Veronica Kourtellaris to the Council meeting on Friday 10th January to collect her CPD Award certificate. "Excellent mix of CPD activities, well presented and your support for AAPT meetings is tremendous! We would like to use elements of the submission for demonstration purposes if allowed"